St. Louis Blues forward Vladimir Tarasenko continued his goal-scoring stretch with a mesmerizing power-play goal against the New York Rangers on Monday night. 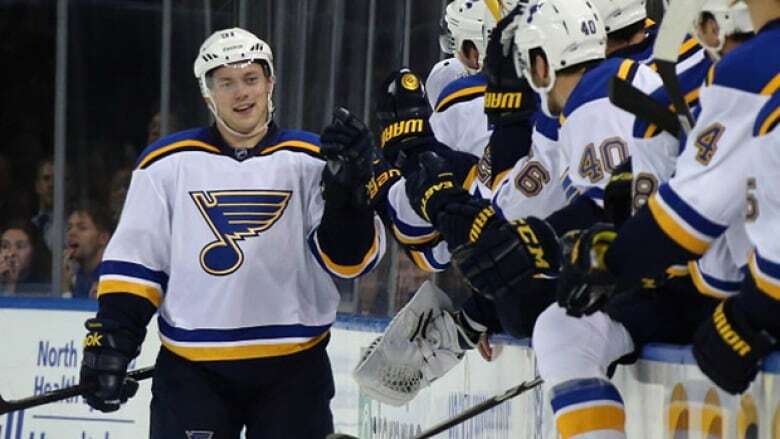 St. Louis Blues forward Vladimir Tarasenko is having a nice scoring stretch. On Monday, he added his seventh goal of the season with a highlight-reel goal against the New York Rangers. Tarasenko, who scored three goals in his previous five games, blew past three helpless Rangers before scoring a mesmerizing one-handed, tuck-in goal on the power player against Rangers goalie Cam Talbot. Tarasenko would go on to finish off the Rangers in the shootout.